Home News Jose Butron extends Marchetti deal! Jose Butron extends Marchetti deal! The Spanish champion Jose Antonio Butron in 2016 will also be in the ranks of the KTM team Marchetti. L ‘agreement was signed at the Motocross of Nations in France, at Ernee. Butron will participate in the World Motocross Championship in the category MXGP riding the KTM 450 SX F prepared by the Italian team. 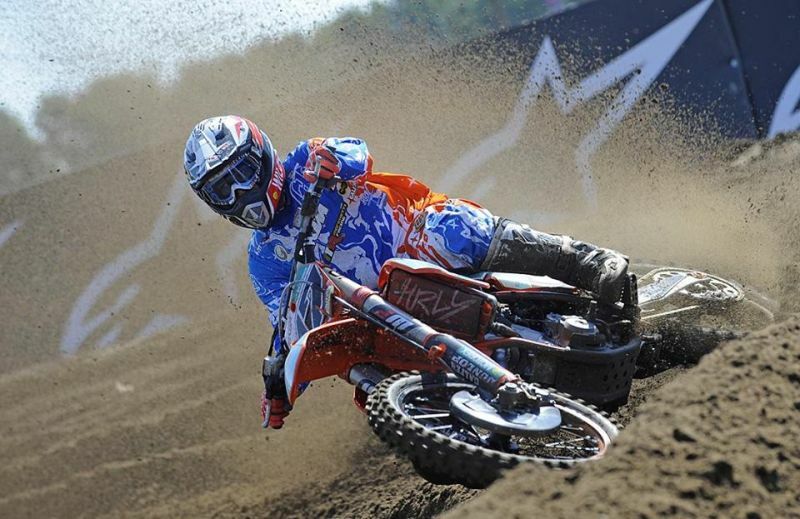 Butron year ended his first season at the World MXGP in fourteenth place. Jose Butron: ‘I am happy to have renewed with a team that gave me confidence and made ​​me debut in the top class. In the first season I had good moments but I have to improve and find more continuity ‘. Elio Marchetti (Team Manager): ‘Now we know the quality of Jose and we can still do better and give us satisfaction in the category of the most difficult in the world. It ‘a guy who makes a group, the team is well integrated and is not afraid to do their utmost and work to improve. Sophomore MXGP can fight for the top-ten ‘. First race in seven years. In 2005 he was runner-up World Junior 85cc; He won 9 Motocross Championships of Andalucia; He has won 10 times the Spanish Championship of Motocross; third in the final standings of the World Motocross MX2 2013; He has achieved eight podium finishes in the MX2 World Championship.